has been refused bail by the Special Criminal Court. Larry McCarthy (37), with addresses at Old Cork Road, Limerick, and Cornmarket Villas in Limerick, is charged with threatening to kill Noel Moore at Windsor House, Donoughmore, Limerick on 28 July 2015. He is also charged with threatening to damage Mr Moore’s house in Donoughmore on the same date. The Special Criminal Court previously fixed a trial date of 19 June next year. Today, the State objected to McCarthy’s application for compassionate bail to attend his grandmother’s funeral in Limerick. 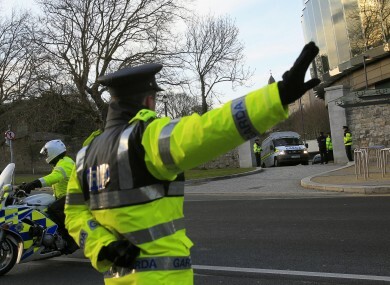 Detective Sergeant John Cleary, of Roxboro Road Garda Station in Limerick, told the three-judge, non-jury court that there was an objection to bail on the grounds that McCarthy is a “serious flight risk” and there was “potential of interfering with witnesses”. Cleary agreed with defence counsel, Mark Thompson BL, that there has always been strong objections to Mr McCarthy getting bail. Thompson told the court that his client wanted to pay his respects to his grandmother “in any shape or form”. However, Cleary said there were no bail conditions which McCarthy could offer to appease his concerns. Justice Paul Butler said that McCarthy had already been refused bail last week under Section 2A of the Bail Act on the evidence of Chief Superintendent David Sheahan. Justice Butler said that the court must be “proportionate” and nothing had changed in favour of the applicant since last week. Justice Butler, presiding with Judge Robert Eagar and Judge Sinead Ni Chulachain, then refused the accused’s man application. Email “Man refused compassionate bail to attend grandmother's funeral in Limerick”. Feedback on “Man refused compassionate bail to attend grandmother's funeral in Limerick”.